In the U.S., Thomas Edison is most often associated with early X-ray experimentation. His development of the fluoroscope at the turn of the 20th century had a major impact on medical diagnostics (and, later, popular and consumer culture). Should it be any surprise, however, that Edison’s rival Nicola Tesla had been tinkering with X-rays in his Long Island laboratory since 1894? : not only prior to Edison, but to Wilhelm Röntgen himself. Tesla used a specialized vacuum tube of his own invention rather than a Crookes tube, and the quality of his results was astonishing in comparison to Röntgen’s earliest attempts. By the spring of 1896 Tesla was already publishing extensively on his findings. He was quick not only to recognize the X-ray’s great potential for clinical use, but also its great potential to cause harm. 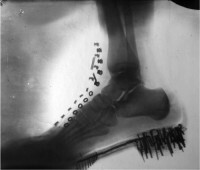 Just after Röntgen published his findings, Tesla sent him an X-ray— or, in his terminology, “shadowgraph”—that he had recently made of a foot in a boot. Tesla’s 1896 shadowgraph is stunningly clear and detailed in comparison to the image Röntgen made of his wife’s hand only months earlier. 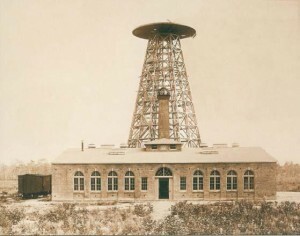 As happened with some of his other ground-breaking inventions and research, (electric current, radio, the modern electric motor, wireless technology), Tesla’s work on the X-ray was displaced in the popular imagination by bad luck, bad timing, and—in the U.S., perhaps—a desire to populate the story of American innovation with well-known, American-born characters (such as Edison), if they were available. Tesla, a Croat and recent immigrant, would hardly have fit into that narrative. Ironically, one of the first X-ray images Tesla attempted to capture was a “portrait” of none other than Mark Twain, a celebrated and most American personality (according to one source, the attempt was unsuccessful). Sadly, most of Tesla’s early contributions to the field of radiology were all but lost when his laboratory burned down in 1895. His reputation in this area was sustained by witnesses and his own published writing, but the passage of time has taken its toll on what constitutes “common knowledge.” Even today, his work is not widely known among radiologists. With its invisible light, the X-ray still casts a long shadow. 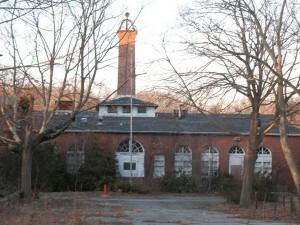 Wardenclyffe today. Plans are underway to rebuild it as a Nicola Tesla museum. Maja Hrabak, MD, Ranka Stern Padovan, MD, PhD, et. al. 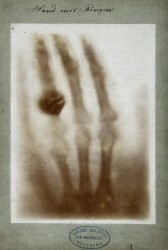 “Nikola Tesla and the Discovery of X-rays.” RadioGraphics, 28, July 2008. pp. 1189-1192. Rudinska, Iwona. Editor, The Tesla Collection. 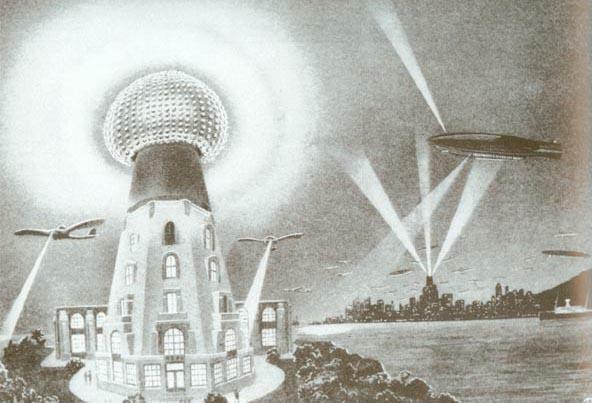 “Tesla and the Roentgen Rays.” New York Herald, February 23, 1896. Retrieved June 26, 2014. Shelly Schwartz. Tesla: A Biography of Inventor Nikola Tesla. About.com: 20th Century History. Retrieved June 23, 2014.